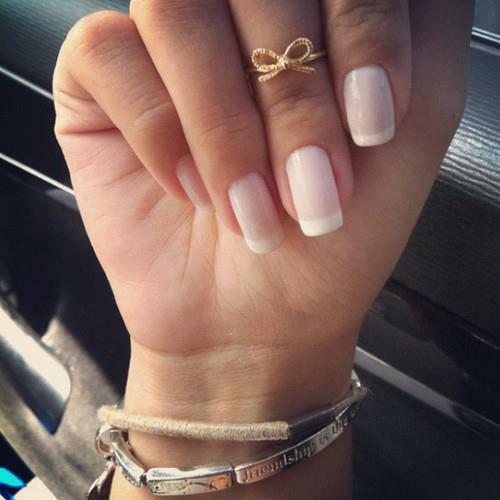 Mid-ring finger bling is en vogue! For all you fashionistas out there, I’m sure you have seen or heard of midrings AKA “midi” rings. It’s been a trend that has been lurking around for the past year, but popping up everywhere now. Rihanna has been one of the main celebrity trendsetters in this game. This is a smart way to recycle rings that don’t fit anymore or to wear tiny vintage rings that are too pretty to pass up. It’s a great excuse to pile on accessories in a fun way. These accessories provide a dose of old-world charm and add intrigue to what could be an otherwise typical jewelry game. Definitely makes for a fashion accessory statement. Simple thin wedding-ring style is a classic that goes with everything. Wear it only on one finger or accessorize them all for powerful statement. Want to rock this trend? Anything goes! 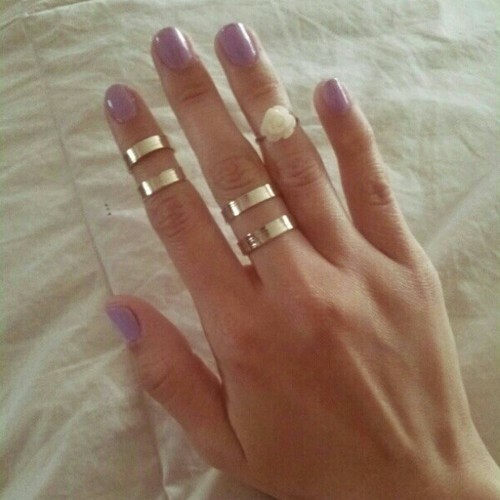 Midi rings look awesome in a stack, alongside another ring, or completely alone. There is only one rule to this game – make sure your nails are done! A great manicure is always in style, and the mid ring is an ideal way to showcase a hot new color or alluring shape.